I recently stumbled upon just such a dynamo with superb people and writing skills, giving this overwhelmed author a boost. It can be daunting and easy to flounder as one wades through the publicity aspect of promotion. She connected immediately with me and intuitively “got” the stories I had written. 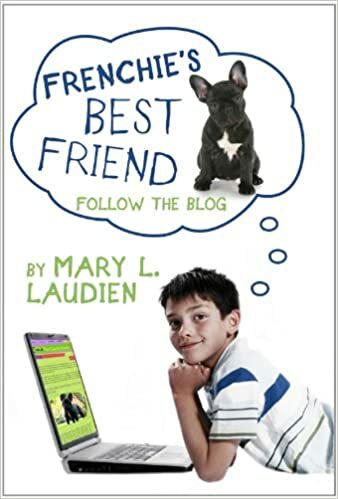 Her enthusiastic response to Frenchie’s Best Friend- Follow the Blog was completely aligned with my aspirations for the book. She spewed one idea after another, her ADHD nature (her words) coming through full-on. What an uplifting experience! 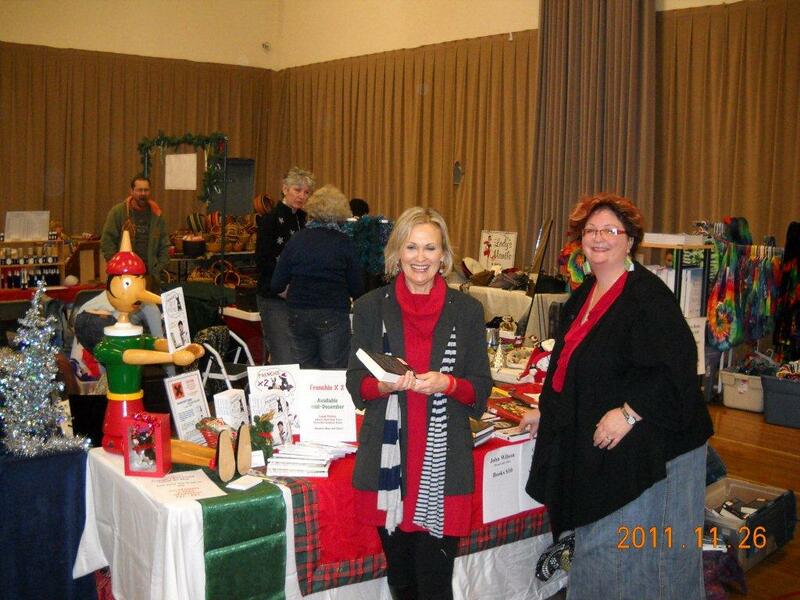 Just from this chance encounter, we shared a table at a local Christmas Bazaar and garnered an article in the local paper. 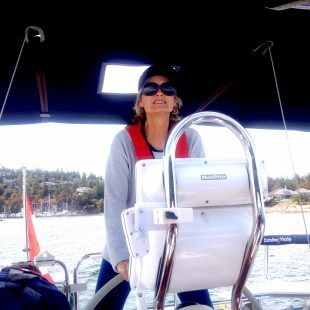 Oceanside author Mary Laudien, a retired principal from West Vancouver, is having a blast writing chaotic and entertaining novels that make for a fun read for anyone who loves their pet or is a pet-owner wannabe. 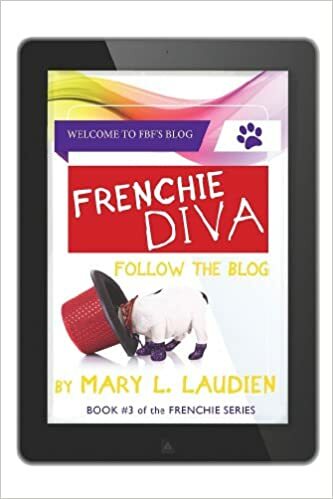 She wrote her first novel, Frenchie’s Best Friend – Follow the Blog, and realized the story couldn’t end there. 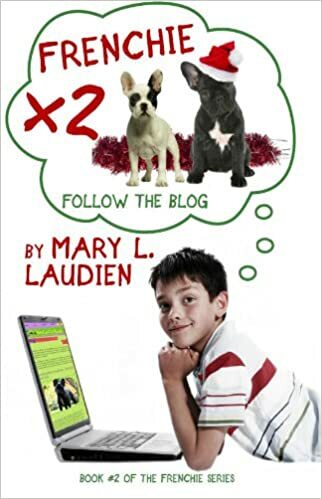 Frenchie X 2 – Follow the Blog is scheduled to hit the bookstores and e-readers by mid-December. 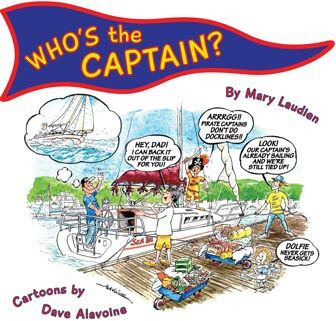 She will be bringing her first book to the All Decked Out Family Bazaar! on Saturday, Nov. 26, 10 a.m. to 3 p.m., at Nanoose Place (2925 Northwest Bay Rd. Nanoose). Laudien will be sharing a table that is all about books. At the event there will also be clothing, jewelry, art, pet products and a whole lot more. This event is unique, as it has gathered many Oceanside businesses, artists and crafters under one roof. Admission will be free and attendees may purchase raffle tickets for a gift basket which will be on display. All proceeds from tickets sold will go to Nanoose Community Cupboard. Kim Plumley from kim@publicitymavens.com is pictured below. Not a vendor or customer that attended, “All Decked Out” left the premises without making a mutually beneficial social connection with this incredibly personable publicist. She has a gift!